Over/Under: Under 193.5 at 1.90 Bet Now! Focus returns to the Eastern Conference and if there is to be a clean sweep in any of the Finals, it will have to be in this game. This is because the Warriors hopes for a clean sweep in the West fell apart on a difficult night for the Golden State team. The Western Conference is still alive after the Rockets pulled out a big win and showed that they have some intention of extending their season as best as they can. James Harden may not have been too happy at the end of Game 3 but he was positively beaming at the end of Game 4. Harden had grabbed a playoff high of 45 points in a game that the Rockets led from start to end. The 128-115 win on Monday night was a real shot in the arm for the Rockets and the Houston side can hope of clawing their way back into this tie. The Rockets were even well ahead by the time that Stephen Curry suffered a nasty head-knock which led to the MVP missing 12 minutes of action. Curry himself seems confident that there will be no after effects of the injury and he is looking forward to getting back into the swing of things in Game 5. The Warriors may well need Curry to be on his best form. Curry still offered up 23 points in the game and Klay Thompson provided 24 points for the Warriors, but they fell short of completing a clean sweep over the Rockets in the West. Back in the East, you can try all you want to make sure that it doesn’t turn into a story all about LeBron James, but there are times when you are better off throwing your hands up in the air and just accepting the story that matters. He may be moving slowly after the games, but when he is on the court, LeBron is poetry in motion at times. He offered up 37 points, 18 rebounds and 13 assists in the 114-111 overtime win over the Hawks that placed the Cavaliers into a 3-0 lead. One home win on Tuesday night will see the Cavs in the NBA Finals. It would be the fifth NBA Finals in a row for LeBron and he may be injured, but he certainly isn’t going to slow down. In fact, the chance to get some rest before the Finals could see LeBron push himself as hard as he can in this game, knowing that some pain up front will be paid off with the chance to rest and recuperate before one big push for NBA glory. Kyrie Irving may make the game on Tuesday and he will be given until game-time on Tuesday to prove his fitness for the team. The Hawks are without Kyle Korver who injured his ankle in an incident with Matthew Dellavedova, and Korver will be missing until next season. The Atlanta Hawks are 68-29 for the season which includes a 28-20 record on the road and a 5-5 record in their 10 most recent games. They face a Cavaliers side that are currently 64-31 for the season which includes a 36-11 record at home and an 8-2 record in their 10 most recent games. 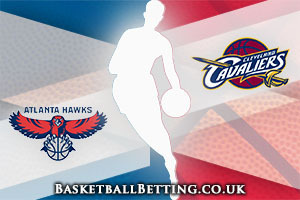 With respect to average points scored, the Cavaliers lead 102.7 to 101.9 and for average points against, the Hawks are ahead 97.1 to 97.9. 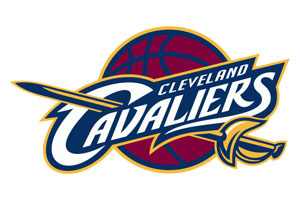 Taking the Cleveland Cavaliers at -8, at odds of 1.90, should be an attractive bet for Tuesday. If you are looking to get involved with the Over/Under market, you should look to go UNDER 193.5, and this is also available at odds of 1.90. Bet Now!